Really 3.5 stars but Goodreads obvs doesn’t allow that. 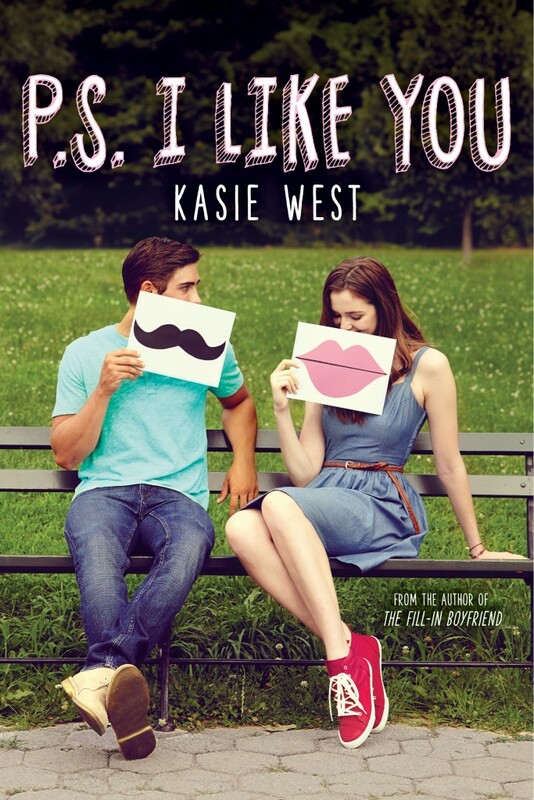 This YA romance tells the story Lily, a high school junior. She’s always scribbling in her notebook, and one day she writes down one of her favourite song lyrics. This piece of paper gets left behind, and the next day the lyrics are finished. She leaves a return note, and soon a flurry of letters go between her and the mysterious writer. And she quickly realises she is falling for this unknown person. The book is well-written, if a little fast paced. There are twists and turns, and the little conflicts that arise are very reminiscent of a Regency romance, which I liked. The protagonist Lily is funny and creative, if a little self-occupied (but who wasn’t as a teenager). I enjoyed her best friend Isabel, who was nice and sensible, even if she did only exist to serve at Lily’s pleasure some of the time. I spotted the love interest a mile off, even with all the red herrings West threw in. But then again, it was an enjoyable ride, and he was very sweet at the end. The mean girls were over-used, even if their inclusion in a high-school novel is obligatory. The novel should have ended with the two characters getting together, the extra few chapters just created unnecessary drama. I hated her rubbish parents, which is not a criticism of the writing itself, they just annoyed me. Her father is a freelance furniture designer and her mother makes jewellery. And the family struggles for money as a result. They really should get second jobs, especially when they seem to have time to have ridiculous contests with each other and go to a Halloween party. The mother has time to interfere in Lily’s love life, but no time to take her son to baseball practice (allowing a strange boy she doesn’t know to pick him up and take him) or discipline said son when he does something very bad and then lies about it. She also adopts a pet rabbit, even though she is clearly incapable of looking after living things. Shouldn’t her husband be making furniture instead of building hutches? Doesn’t rabbit food cost money they don’t have? Lily seemed more a parent to her brothers than her actual parents. Her father just fades into a background, which is either because West forgot about him, or he is a victim of the portrayal of fathers in YA novels – if he’s not a hardworking single parent, he is violent and abusive, or just in general absent. The portrayal of parents, in general, was poor, which is a criticism of the genre, not so much the book. The love interest reveals to Lily that his father all but abandoned him, his mother is distant and he lives in desperation for his step-father’s approval. Yawn. For once I’d like to see good parents in a YA novel, and have the character’s motivations stem from something else entirely. I won’t read this again, but I would recommend it to any YA looking a short, light, romance read. I received this book as part of my August 2016 Owlcrate.